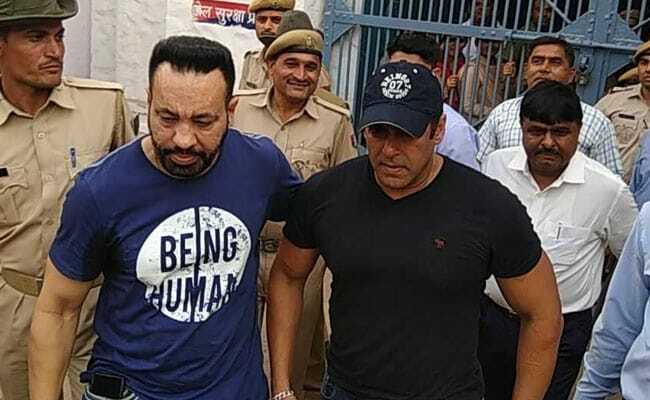 After spending the last two nights in jail, actor Salman Khan has been granted bail from Jodhpur Court in the blackbuck poaching case and has walked out of Jodhpur Central Jail. On April 5, the Ek Tha Tiger actor was sentenced to five years in jail for killing two blackbucks - an endangered species that's protected under the Indian Wildlife Act - near Jodhpur in Rajasthan 20 years ago. Salman Khan was shooting the multi-starrer Hum Saath Saath Hain at the time. His co-stars Saif Ali Khan, Tabu, Sonali Bendre and Neelam Kothari, also accused in the case, were acquitted. Following the bail hearing, Salman Khan has been told to file a personal bail bond for Rs. 50,000 and produce a Rs. 25,000 surety from two persons who will guarantee that he will comply with all bail conditions. He also cannot leave the country without the permission from the court. After the verdict on April 5, the actor was taken to the Jodhpur Central Jail where he was lodged as prisoner no 106. The actor wasn't allowed food from outside and served dal-roti and vegetables for dinner which he refused according to Press Trust of India. He reportedly also refused tea and khichdi, served as breakfast the next morning. Several celebrities have poured in their support for Salman Khan. Fans are celebrating the news of the actor's bail with fireworks outside his residence. Salman Khan is slated to return home to Mumbai later today.